-- Diameter of 141" and Height of 160". -- Rated for storage of liquids up to 1.9 specific gravity specific gravity. This tank is available with optional heat tracing and insulation for temperature control. 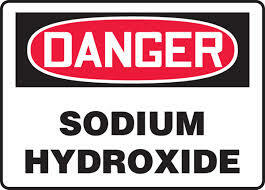 Sodium Hydroxide may get too viscous to pump efficiently if it gets below 65 degrees F.